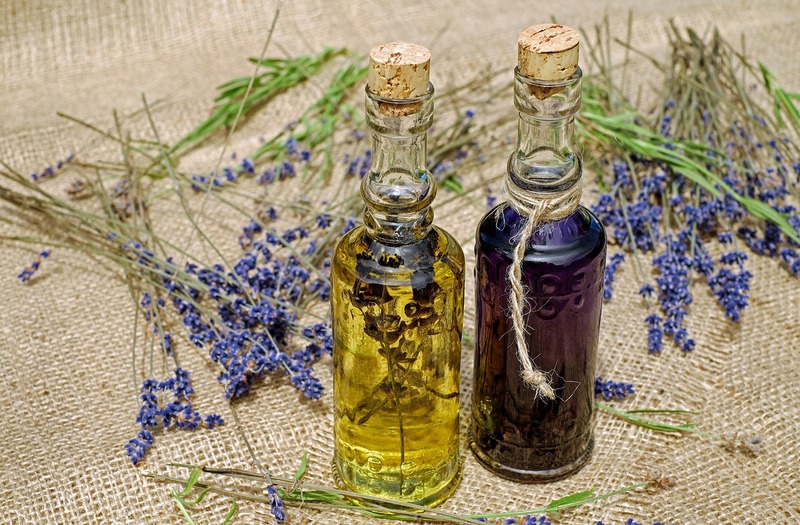 Essential oils can be remarkably effective stress relievers. These concentrated plant extracts promote deeper breathing, stimulate the limbic system of the brain, and calm the nervous system. Essential oils can be utilized in a number of ways to ease stress: Added to a warm bath, mixed with carrier oil and massaged into the skin, applied in small drops to the feet and scalp, or diffused into the air. Knowing the oil’s properties and indications will make the application one chooses in aromatherapy the most effective. Frankincense is an ancient oil associated with Christmas and sacred rituals. The oil has a complex aroma with notes of balsam and citrus, considered a base note in perfumery, and has many medicinal properties: antiseptic, anti-inflammatory, regenerative, and analgesic. Diffusing the oil combats airborne cold and flu germs, and will be appreciated by anyone suffering from any lung or sinus condition. Frankincense is also used for pain relief in topical applications. A light, uplifting oil, orange is a great choice to disperse winter blues, which some experience more acutely during the holidays. Orange blends well with frankincense, and is also antiseptic, has expectorant properties for lung and sinus congestion, and benefits the digestion. It is a great oil to use in massage, as it eases fluid retention and reduces the appearance of cellulite. Have a fake tree but love the smell of a real one? Fir needle oil can add the olfactory ambiance of a real tree when diffused, and help open the sinuses, combat germs and viruses, and relax the nerves. Mixed with carrier oils, it is also effective for relieving muscle and joint pain. ← Painful Menstruation? Herbs to the Rescue!